SunBird Golf Resort is a limited access community. Entrance and exit occurs through four gates. There is one operational gatehouse. The gate located at Waterview and Oakmont Drive is for exiting vehicles only. SunBird residents can gain access into the community by a remote control operator or an access code through the resident lane at the Riggs Road and Championship Drive gate, or by remote only through the Kerby Farm and Hunt Highway gates. Guests, visitors, public golfers and commercial traffic can only enter the premises of the HOA through the main entrance, which is the gatehouse at Riggs Road and Championship Drive. Guests, visitors, public golfers and commercial vehicles must be authorized for entry at the Riggs Road and Championship Drive gatehouse only and residents should not grant access for them to enter using the other gates. 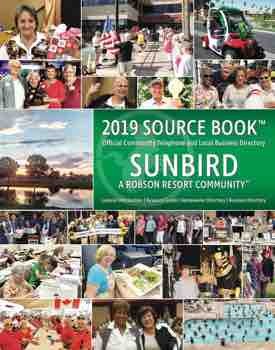 SunBird residents must not give their frequent guests or contractors their personal access code. Vehicles are not allowed to enter through any exit gate or by tailgating another vehicle, or by any other manner without using an access code or remote opener. Access by residents’ vehicles through the resident lane at Riggs Road and Championship Drive gatehouse – if using your four digit code, at the keypad enter a 0 first, then your four digit code. If using the Sentex system keypad located at the visitor lane, enter the pound sign (#) first, then enter your four digit code. Residents, if you are utilizing the Sentex system, then you may grant entry into the community over the telephone to a guest, visitor or contractor at the Riggs Road and Championship Drive gatehouse when no attendant is on duty. While your guest, visitor or a responding contractor is at the Sentex telephone entry system, have them follow the posted instructions to gain access over the telephone through owner authorization. When your phone rings, just answer your phone and you can communicate via the intercom and you can the open the gate by pressing the No. nine button on your home or cell phone. Be advised that if you have a cell phone number with a local area code of 480 or 602, only those area codes can be used in the Sentex telephone entry system. As a last resort, if there are any problems with access, the SunBird roving Patrol may be contacted for assistance until 12:00 a.m by entering 1570, then pressing the call button. For any questions about SunBird gate operations or to report a problem with any of the gates, please call Patrol at 480-797-8605. You may also report any problems with the gates to the HOA Office at 480-802-4901.